CDisplay for Windows XP - utility for reading formats cbz and cbr. 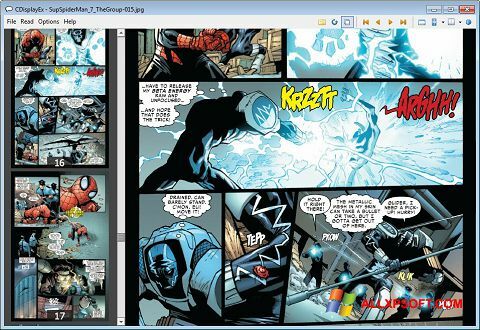 The application uses an intuitive interface, supports combinations of hot keys and a portable version of the work, includes tools for adjusting colors and contrast, contains a full-screen and windowed display, can show files in a two-page view. The functionality of the utility allows you to create ready-made archives from a set of individual elements, to adjust the size of images to the resolution of the monitor screen. The program uses a hidden navigation bar and a method for improving the quality of the display of scanned items. You can free download CDisplay official latest version for Windows XP in English.